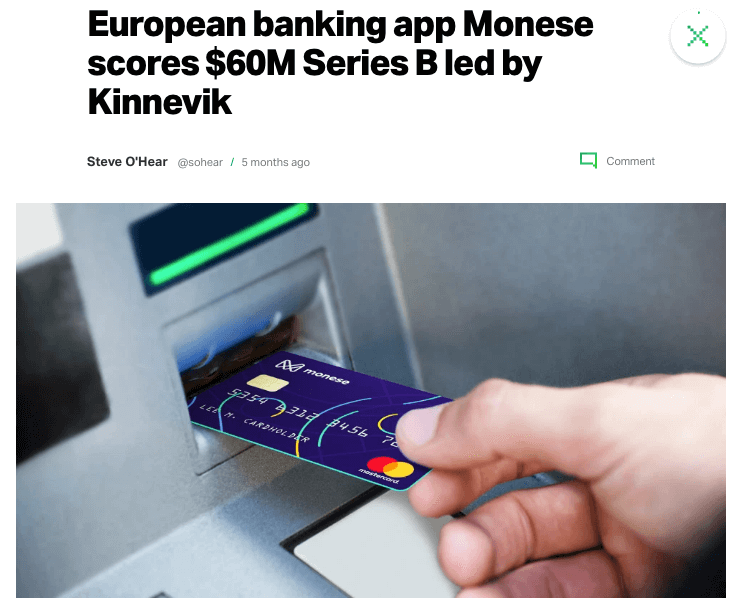 With more than 600,000 users, Monese is a bright example of growth within the FinTech industry. 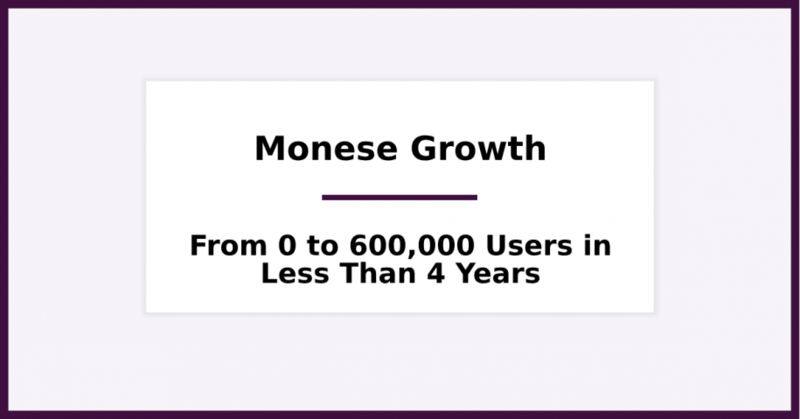 Monese — which launched it’s first product back in 2015 — has managed to drive exponential growth and expand its user base to a number that even established businesses can’t reach. We wanted to know more about how Monese managed to do that, so we invited Monese’s Head of Growth, Yannis Karagiannidis for a quick chat. We’ve discussed virality, product-market fit, systemizing growth within an organization and more. So Yannis, can you tell us a little bit about you. Who are you? What’s your prior experience? What are you doing in Monese at the moment? Just give us a little bit more about you. So yeah, I am originally coming from Greece. I’ve been in the UK for a little over eight years now. I’ve been into performance marketing initially and then jumped into product as well, so this combination formed Head of Growth, which is product, performance marketing and data-driven. I’ve been working with many tech companies, most of them in-house — and, I love the consumer space, rather than the B2B landscape when it comes to growth. Okay. Based on your experience, what type of skills a Head of Growth needs to have? Hard skills; what type of knowledge or what type of disciplines? The market has tons of different growth roles. Some companies call the growth person a salesperson. I’ve seen that. Some other a content person, I think it’s a valid part of the role. For me, growth consists of product management, quantitative marketing, everything measurable, performance-driven and data. This is the combination of the skill set people should possess to have a 360 growth overview. Can you tell me a little bit more about Monese? When was Monese launched, what is the story behind the product, the team and the company? What have you achieved so far? 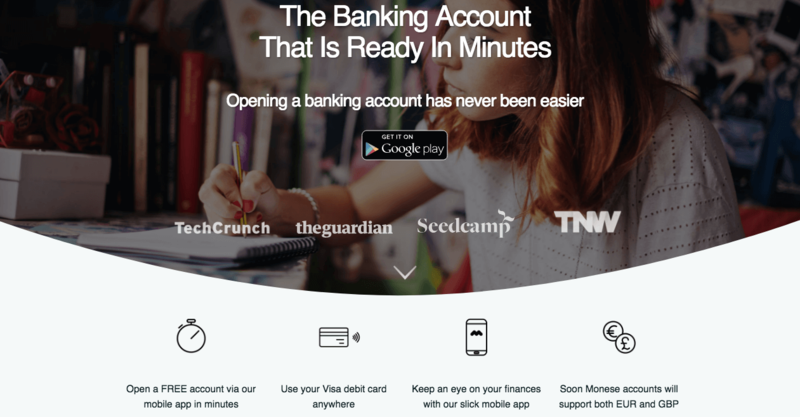 Monese was launched in 2015 as the first UK mobile current account in the market. Monese was born out of frustration from our Founder when he moved to the UK and tried to open a bank account here. So, he had to use a bank account of a friend to receive his salary. And, years later when he sold his previous business, he was holidaying somewhere in Florida; he was thinking about the next steps, and he had this flashback where he remembered the problem he faced. So the company launched in 2015, three years later (in 2018), we have just raised a series B round $60 Million from Kinnevik AB, PayPal and IAG (International Airlines Group). We are close to 200 employees, and we are very happy about it. Right now, we are adding up 2000 accounts a day. So, much exciting stuff to come in the very near future! 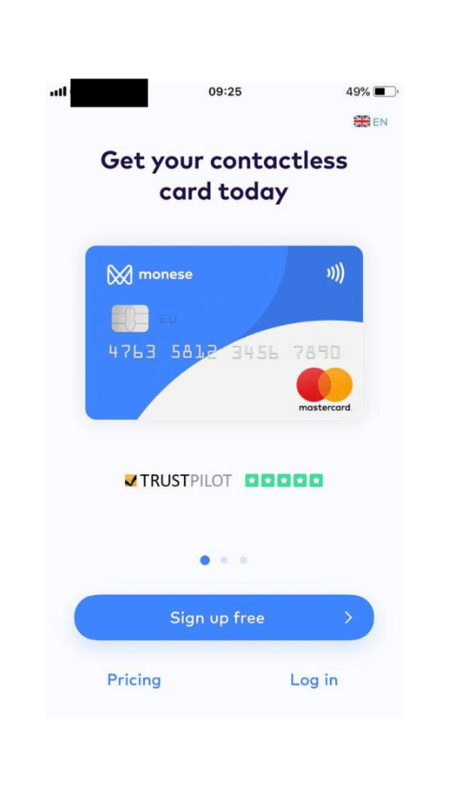 I should tell you that I am one of the first customers of Monese — I am a user since 2015. 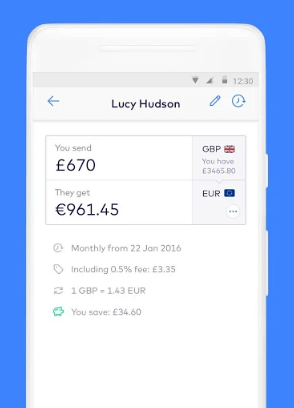 I landed in London in September 2015, and after a few months, I started using Monese. I am among the first users. Yes, I am going take a look at your Monese ID to verify, but you are using Monese longer than I do. I am also one of the first business account users. That’s great; I wanted to ask you about this. I took part in your pre-launch campaign, and I was waiting for the launch. The time that you launched it, I registered, and now I have my business Monese account. I have to say that you are not the first user because the first user was a Greek customer as well, but yeah, it’s going great. Actually, we launched it a month and a half ago, and we’ve just crossed 1,000 accounts, without marketing on this one. We haven’t really pushed it. 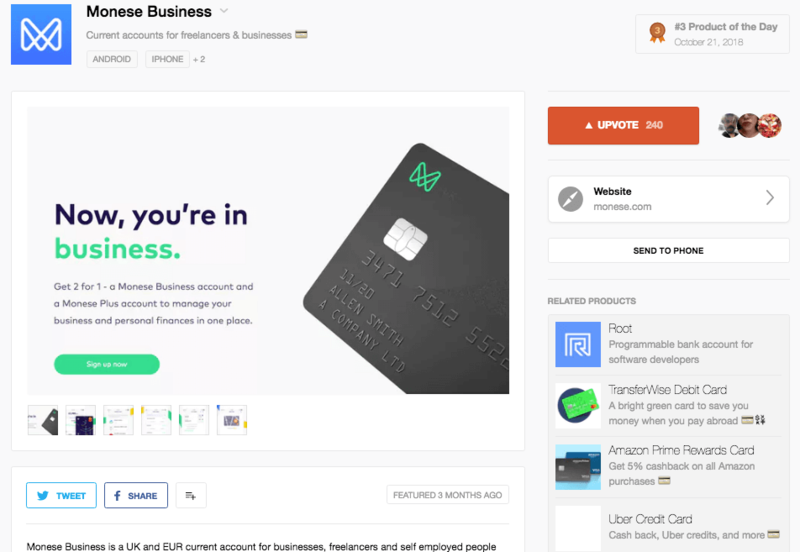 A very nice growth lever was Product Hunt for this one because accidentally, even though we didn’t submit it, we got featured in Product Hunt. Yes. So that brought us tons of attraction in the first few days. I also guess a big part of the traction came from the existing user base? Yes, the existing user base. We Emailed them straight after we released the product. The business product was born by monitoring patterns and behaviours on personal accounts. We noticed that many people were using their personal accounts for business, which unfortunately is not allowed within our terms and conditions, so it was quite easy to move them to a business solution that can serve their needs. I had a bit of brief chat with your customer care asking if Monese actually can be integrated into accounting software and I was told by your customer care that you are working on something internally. Yes, we are working on it; and it is going to be announced the next quarter. Amazing, I will use that too. So, we discussed before this interview, and you told me that one of the topics that you feel most proud about in Monese is referrals and virality. A brand that grew organically; and that was my assumption because you were nowhere. You didn’t have publicity, but you were in all users’ hands. Can you tell me a little bit more about virality and referrals and what is the role of that in Monese? Yes absolutely, that’s my favourite topic, and that’s why I suggested it for discussion. Monese is not among the top three of companies when it comes to raising funds; which is what usually what makes journalists write about you. We are fourth in the market when it comes to raising funds. So, that didn’t help with the press, but to be honest, we didn’t rely a lot on the press. We’ve seen it now with the recent funding announcement — as well as in past experiences I had with other companies — which rarely attracts actual customers; it is only for tech aficionados and people who read TechCrunch. A funny case was that the day our funding round was announced, we got lots of people from San Francisco trying to open an account with us because that’s the most popular city for Techcrunch probably. 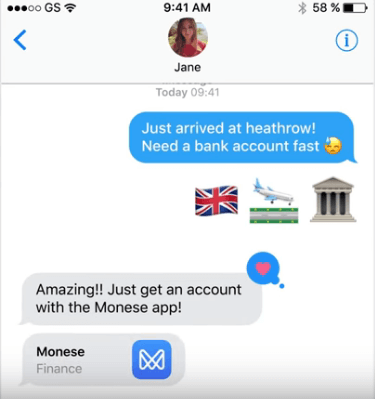 So you may not see Monese a lot in London, and we’re not within the London “FinTech bubble”, but our audience is quite strong. We positioned the company towards migrants, and this is the strongest referral audience for us because they form small communities in the places where they live. And with word of mouth, it is easier to share a product so that you can help other people who moved to these areas. These people do similar jobs. 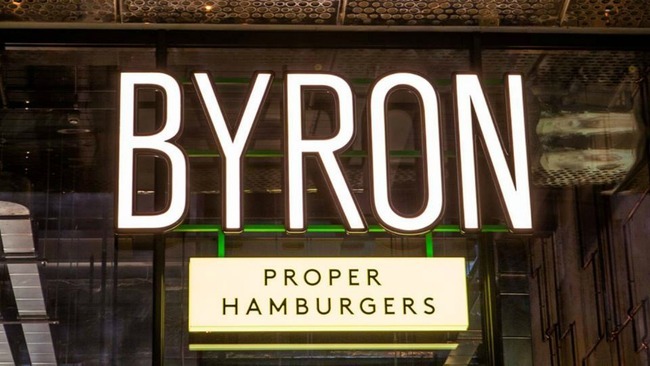 For example, my favourite case is people who are working for Byron, the burger joint. Usually, older chefs that work there recommend Monese with a referral code to join and receive their salaries from their Monese account. And yeah, Monese doesn’t make lots of noise, but we are very strong in dark social, referral, and you can see us actually make some noise on Trust Pilot. We are the most reviewed challenger bank right now. You can see how happy people feel about us. Referral is so important to us that right now, one that out of three people who join Monese come by our of our referral program. So it’s a major driver and helps us spread the word easier. I’d like to understand this practically because there is a lot of BS around referral marketing and virality. The question that I (personally) have — and that lots of potential students in my classes have — is how are we going from zero to one? And, what virality and referrals are? Are they connected? Is this the same thing? Is the one an outcome of the other; is the other the outcome of the first? Virality for me is triggering network events, not directly within the referral scheme — getting network events — but from your product, your messaging or from different activities that you triggered within your product ecosystem. We take virality into place. A major driver for us, for example, for the acquisition via virality is the Email that we send to the recipient of a payment. When we did it, nobody believed that this was going to be a huge thing. And, now we see that it is triggering a big part of our account creation. When somebody makes a payment to a non-Monese user — like when you pay the rent, and you add the email of your landlord. 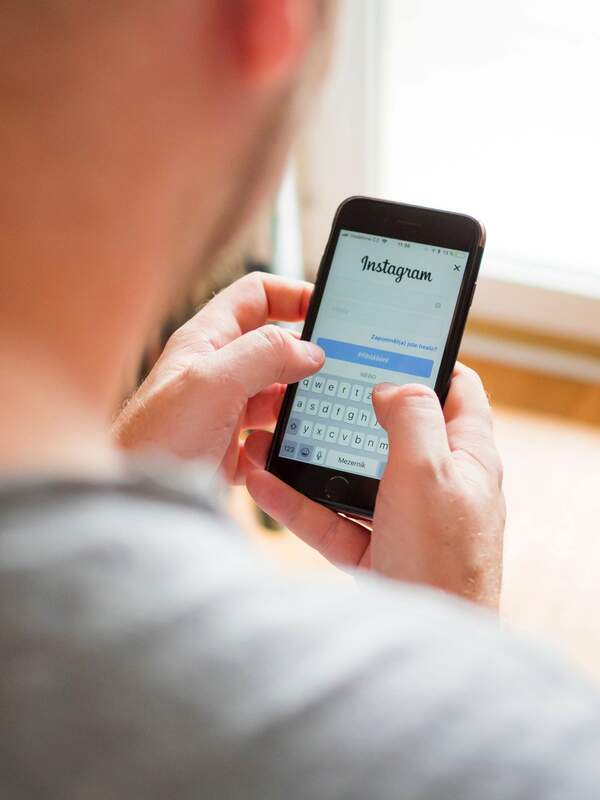 Another thing that you could consider virality is the perception that you give to the customers of your brand. When it comes to offline virality, for example, we post messages like “Instant” or “Open your Account in Less Than Two Minutes”. We want to push that conception to our customers. It’s easy and fast, and that’s how they market us to the offline audiences. So virality touches many aspects outside of the referral program. 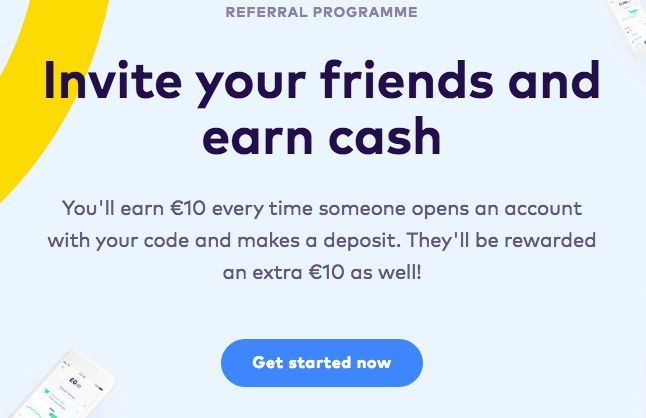 The referral program is an additional incentive to support the core value of your product. If you don’t have a good value proposition, you will struggle big time to create a high-performance referral program because people will be embarrassed to sell your product to others just for peanuts because most of the referral programs don’t give life-changing amounts. We offer £10 or £15 now that we run a promotion. This is nothing versus what banks offer during their suite service, which is usually £200 pounds to switch. And if you refer somebody, you both get a £100 pounds. We can compete with that, and we don’t want to compete with that. So, we create a product that the consumer is proud to show off, and then we reward them by doing it. I think they are different things; they should be considered both combined and separate at the same time. When you joined Monese back in 2015, I remember I joined the startup boot camp Insuretech, and I remember a discussion internally that Fintech is a bubble (it was hype at this point of time) and that it was going down. Most of your big competitors existed at this point of time. I want to understand how did you come to product-market fit. How did you measure it and what was the time that you said, okay, now we have product-market fit (or we believe we have product-market fit) and we will invest into virality driven by the product. How did you practically measure that, monitor that, and came to this conclusion? I think for Monese it was pretty straightforward. 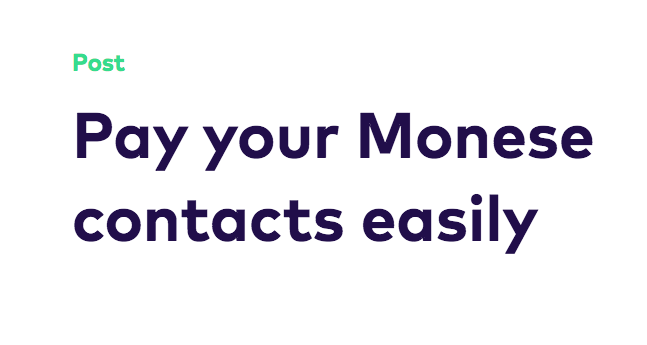 Right now, 75% of our customers receive their salaries via Monese, and that’s a figure that many competitors are struggling to beat. You create a huge pool of loyal and consistent customers. They just don’t churn. And, that’s a great situation to be. I agree that there might be a thing like double overall. Many companies are used as a secondary financial product. And, we’ve seen our bigger competitors right now pivoting towards salary receivers. This is happening because that’s the only way to control the financial aspect of your customer. So that enables you to offer more services or higher product usage and more revenue streams as well. 3) As well as high levels of stickiness. So, we rarely lose customers. You mentioned that some triggers showed you that you had found a product-market fit. Are there specific metrics that you can consult to understand if you are close to product market fit? In your case it was — as you put it — obvious. I would say you made it obvious because you had features that revealed that the adoption was high. But, in other businesses, are there metrics, charts or indications which show that the business is close to finding a product-market fit? That’s a question that I got recently when we had breakfast for the business customers in the office a few days ago. I don’t know why you were not invited, but I am going to check! So, I got asked the same question, from a customer who is running a travel business. For me, there are three categories. 1) You need to find the “AHA” moment for your business and for your product. For example, when you run a mobile App business, the frequency that the user opens the App might be a very good signal. But, that’s not the only thing you need to check. I would say that (initially) when you launch a product you might have to guess what the action that shows you the product-market fit. 2) You might have to calculate it from soft data or hard data. 3) Or you might have to ask a data person usually don’t have access to the third person that frequently. So based on your answer, I understand that you need to take the concept of product-market fit and try to translate it into quantitative metrics. You can limit to make assumptions and use product metrics to understand the cohorts, see where people drop off and see how to improve it. It is a never-ending game, especially when you are a very early stage. Or, you can use benchmarks from competitors as well; and try to mark them or beat them. You mentioned before that you integrated some features internally and you built some virality features internally so that users would enhance their experience or their experience will stay the same, but you (at the same time) would generate virality. I wanted to understand if there was an experimentation process or growth hacking process to ideate, rank and prioritise these ideas and test them somehow in a lean way? What was the process from idea till feature, a launch of a new feature? First of all, I have democratised growth for everybody at Monese. I don’t think that growth should be limited within the growth team. Everyone in the company can come and contribute. So we have an open backlog where everybody can go and submit things, but we don’t have an open voting system. So we have to understand the possible impact. We have to understand the possible impact, the time it needs to be developed and the cost. We handpick and few people to do the prioritisation. This is how ideas are generated. Or, just a crazy idea, a crazy hypothesis that if I do this, it might work. Once we prioritise, we always run experiments. We don’t productize or systemize, we ran it, and when we get enough data to understand that it’s a success to a percentage of our traffic; then we release it to the 100% of our traffic and make it a part of the core product. And, then we always do the retrospective. We embrace failure — 9 out of 10 things that we try, they don’t work. They either are flat or slightly negative, but that process allows us to find the one that will transform the business. Could you give me an example of a feature that you tested in a lean way — are you coding everything, are you testing are you faking it to understand if something works or not? We try to avoid the heavy development, and when it comes to tests, we might hide things, move things from right to left or at the different step. My favourite one was when we removed the “Register/ Login Button”, and we replaced it to “Connect”. And then we were identifying whether the user was registered or not based on multiple parameters. That actually increased the conversion rate for new customers a lot — which was very unexpected. Maybe because the word “Register” is connected with “hassle”? That was an experiment we ran on Android successfully, and now we will test it in iOS as well; and if it’s successful, we are going to add it in our product. Because we tried too much on both platforms and we are trying to find users across both platforms so that the experience is consistent. Regarding the backlog and the decision making of which are the experiments that you are going to run, are you giving any direction either in the close team that makes the decision or in the broader team that contribute to the backlog — like what is your North Star Metric at this point of time? It depends on the business needs of each period actually because sometimes we need to do boost transactions, sometimes we need to boost monthly active users and some others we just need to accelerate account creations. The north star is created by the business needs and is coming from senior management. From a cultural point of view, have you set up an incentive system or something for the broader team to contribute with ideas? Why should I care about contributing an idea internally? No, we don’t have any incentive system right now but it’s something we are considering. 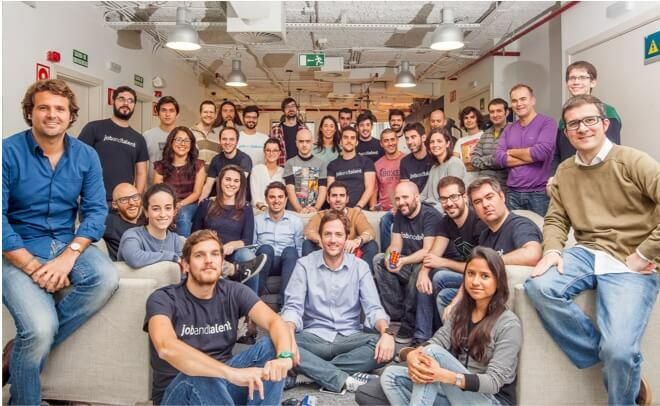 Most people who contribute are not product people; they are from other teams. I like it when people feel like they can affect the product. The best ideas tend to come from people who think as consumers. Product people often overcomplicate the experiment. So we don’t reward them for now, but it’s something we’re discussing; for example, giving a reward to the winner of the “feature of the month”. People engage with us; it’s more about how open you position growth to the company, how approachable you are, how open you are with data, how to give progress updates and give credit to people who brought the idea or who worked with the idea. That’s the enabler for growth-minded companies. One of the final questions that I have for you is how do you monitor and evaluate virality and referral? From an attribution point of view or from a usage point of view? For attribution, it’s pretty straightforward. I think everybody goes with the k-factor mentality. 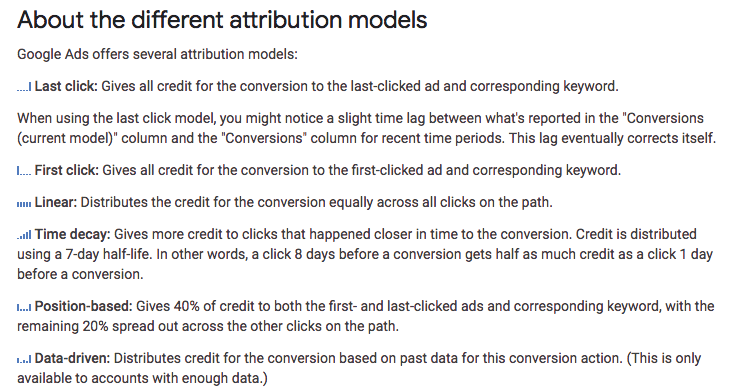 You just have to agree internally with how do you view attribution — First Click, Last Click or different attribution models that exist. Here we follow Last Click as a stronger indicator or (sometimes) we allocate weights depending on the user activity. 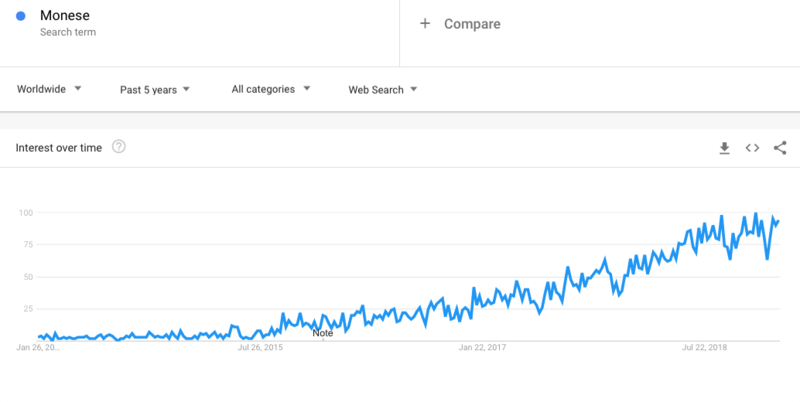 You measure virality on the product level with lots of product analytics, and on the offline world, you measure it with things like the increase in brand or the types of queries people use before they engage with your brand. Regarding the k-factor, I guess you measure your Lifetime Value (LTV) first? Yes, we always measure it at the product level. So is there any thought process behind the reward that you’re going to give to the new users, against the expected LTV of new users — that includes the drop of the users that you’re having? You need to do extensive modelling. You need to have multiple metrics. And expected LTV of the person who refers versus the person who is referred, and then you plug into churn as well. So it’s a complicated model. But, that’s how you ended up with the reward which is probably something you can’t afford, but with math, you understand that you’re going to afford it. When you set it up on paper, what comes after? Do you optimise every data point? How does it work in dynamic, if your assumptions don’t come true? That’s why we test before we productize. We form the test, we select the sample (usually it’s a market) or language — because we have this luxury of learning different things in different languages — and we release to, 20%, 30% of users, track how they behave, model the future according to the behaviour and decide whether to release it to everybody. We don’t go directly to 100%. We go to 20%, 30%, 50% and around 70% we are pretty confident that it’s going to be successful if we roll out. There are lots of founders that are affected by the whole hype around referral marketing. When we ask them if they have product-market fit, they don’t even know what product-market fit is. I would like to ask you, do you believe that referrals and virality can exist without a product-market fit? I would take out product-market fit, and I would convert it into an active user base. I think that this is the key to initiating any referral program. We’ve seen companies that have grown by going viral but died because there was no product-market fit. My favourite example is Fling — the London startup — the Snapchat equivalent. So lots of virality within the product, but then, another product showed up (Snapchat) and kill it altogether. For me, it’s enough user base to start triggering decent results from referrals. For example — depends on the business, of course, on the level of engagement — don’t expect dramatic results with 20, 30 monthly active users. Why a user (from the consumer and user point of view) to refer or give virality to a product that doesn’t have product-market fit? First comes product-market fit, then comes referral marketing and virality. However, we see the opposite. Yeah, I think this is psychology and emotions. For example, Instagram is a great use case of that because we have no incentive of sharing a picture to a friend. But, we do it because it’s either travel and you got inspired or because it’s food and you love food — we have zero incentive sending that to somebody. The emotion is what triggers the virality effect. I think it comes back to human hormones and reactions of the brain. Some products — not always cleverly designed — but, sometimes accidentally they trigger that part. So, it’s a little bit of luck. What would you advise all these founders that need some virality and some referrals to go from zero to one? I would advise them always to test it but not set expectations because it might not be the right fit for the industry. There are some industries — for example, where people are not so proud to say that they are users, whether because it’s a medical App or whether because it’s a “hobby” — that people around them don’t want to know they are engaged with. So, some products are not “referrable” I would say. I would advise to test the channel, not set high expectations from the beginning, but launch it and see how it goes. It might not be the No.1 scalable channel for that type of business. If it goes well, please keep optimising — you can always push it forward. That’s great. Can I have one more question? What was the role of referral marketing and virality in your acquisition overall? What was the mix of paid, referral, vitality and organic — and how and how all these work together, if they work together? We treat channels into three big groups. One is the referral which we isolate entirely since it’s a big one. Another one is organic, and another one is paid, for us. What referral enables us to do is to reduce the percentage of the paid media spent, quite significantly. We saw that the more we push referral, the less we need to spend on advertising. The referral is more predictable; we don’t rely on big bidding wars — for example, now for Christmas retailers are pushing their bids higher because of the upcoming holidays — you have more control, you can reward you real users instead of third-party networks. So, for us No.1 driver as a channel is still organic with about 40%, second is referral with about 35%, and the rest is a mix of different channels. Or, maybe CTAs for a referral that backfires and do you have any advice on that? First of all, the reward is significant. For example, Robinhood, in the USA, gave you stocks from your favourite brand for referring people. It was extremely different than what other people did. Something that contributes a lot is the number of referrals because you need to do to get the reward. Even if you like the reward, a company might ask you to invite three, some others to invite five. I think that’s a killer because the users are in a never-ending race to close the loop of people humans to invite to get the reward. So I think that’s a very poisonous limitation as well. Another thing that I think is poor is always to give credits back to the product. I’ve seen for example some Telcos running a referral program and giving one month of free allowance for every person you refer. That’s a killer because you don’t have any incentive to refer a second one — you just have to invite one more next month to get the reward. This limits a lot the potential of the program. Swag? I don’t know mixed feelings. I’ve seen a company I used to work for running a referral program on Swag, and I just don’t find it attractive enough for people to try. You need to invite lots of people to get a sticker — even more people to get a T-shirt. So, it’s good to reward them every now and then but with something more attractive. By the way, I’ve seen a referral marketing software having referral marketing schemes that give stickers after three or four referrals. That’s meaningless for the user — not much value for me. Regarding the CTA itself, I made the assumption a few months ago that a CTA such as “Spread the Word” or “Refer a Friend” are perceived as lame nowadays. I don’t consider it lame, because every product has a different audience and different audiences communicate differently. For example, for some people, the word “Invite” is a higher incentive because they care more about the rewards rather than giving the value to the customer. And, we see that in various programs with professionals referrers who jump into everything and make referrals to make extra money from it. I can say that you can tailor the language to your audience if you want. But, I wouldn’t consider any word used for referral as lame.